I found this while I was home. See if you can pick out my dad. I was a bit surprised that while there are some Johnny Weismuller types in the photo, there aren’t the Michael Phelps-like triangles-on-top-of-legs that you see in every competitive swimmer today. 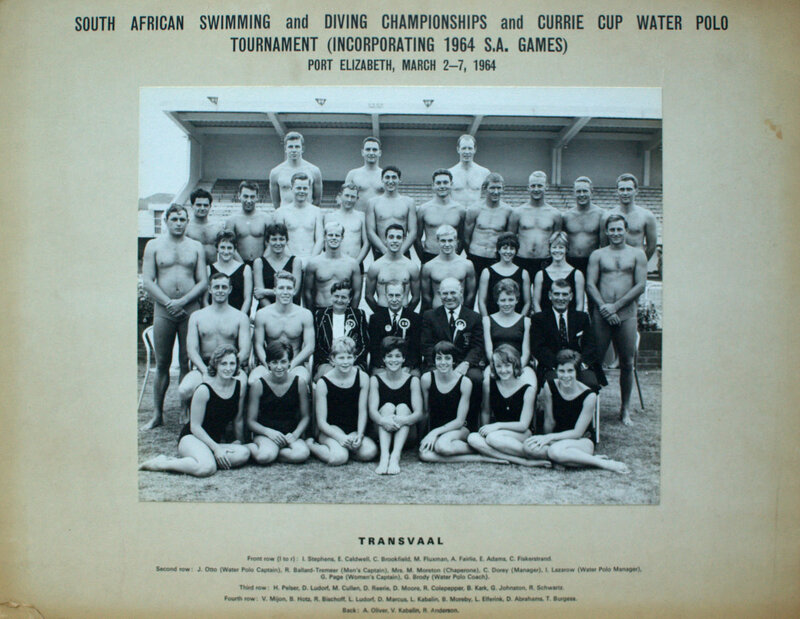 And the people in the photo weren’t slouches–some of these people held records and beat international competition. Yeah, he was really easy to pick out. Much easier, actually, than I expected.